Chayamaritia is a genus of two species, C. smitinandii and C. banksiae. C. smitinandii was formerly placed in Chirita and then transferred to Henckelia in the Weber et al (2011) reorganization. Subsequent work identified a new species closely allied to S. smitinandii, and led to a deeper understanding of the taxonomic and biogeographic limits of Henckelia. This resulted in the creation of a new genus, Chayamaritia, and the assignment of these two species to it. 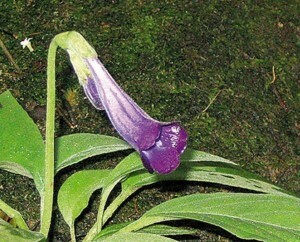 Neither species is known to be in cultivation.